IMO carriage requirement on board all ships. The International Maritime Dangerous Goods (IMDG) Code is the worldwide standard for shipping dangerous goods by sea. Amendment 39-16 is effective from January 1, 2019 and becomes mandatory on January 1, 2020, for a period of two years. It was developed as a uniform international code for the transport of dangerous goods by sea covering such matters as packing, container traffic and stowage, with particular reference to the segregation of incompatible substances. 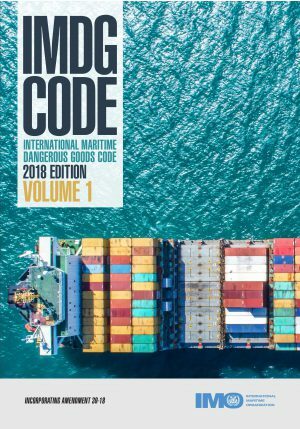 The IMDG Code is a two-volume set, and a one-volume Supplement that focuses on fires and spillage emergencies is also available. 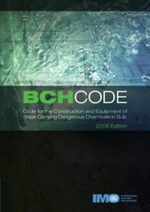 The two-volume Code is also available electronically for download. 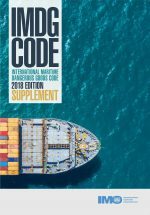 There is a 2018 edition of the Supplement. Tags: ebk eBooks, French, IMO - International Maritime Organization, New and Updated Professional Texts.